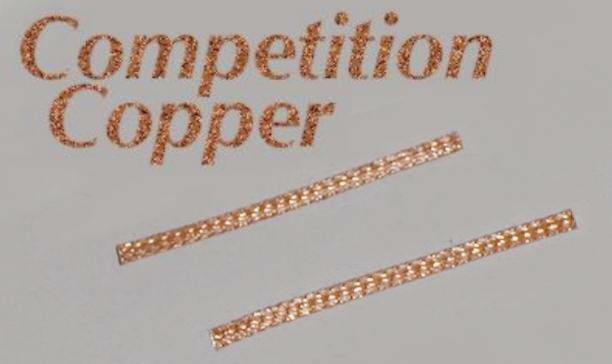 Unique to Scalextric Car Restorations these Scalextric, SCX and slot car spares copper pick up braids are 32mm long. Woven from pure copper these braids give the ultimate track performance. They are ideal for competition use. These Scalextric, SCX and slot car spares are suitable for all Slot cars from the 1960s to the present day including the classic 360 degree stock cars and the Micro Scalextric range of cars. These pick-up braids are suitable for all slot cars; Artin, Ninco, SCX, Scalextric, SCX Scalextric, Tri-ang and many more. Pick-up braids for Scalextric Drift cars are also available. If you are not sure if these Scalextric, SCX and slot car spare braids are required for your cars then please contact us.